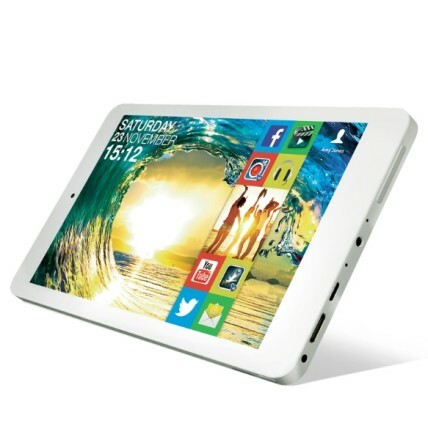 Argos has announced its own budget 7" Android "MyTablet", which will cost just £99.99 when it hits the shelves tomorrow. Argos has announced its own budget 7″ Android tablet, which will cost just £99.99 when it hits the shelves tomorrow. The high street chain is calling their tablet the Bush MyTablet, and are squaring up to compete directly with Tesco’s recently released Hudl (£120), Amazon’s Kindle Fire (£119), and the Google Nexus 7 (£199), but how does the MyTablet compare on specs? The MyTablet’s 7″ display resolution of 1024×600 (169ppi) is notably lower than the 1440×900 (242ppi) of Tesco’s Hudl and the 1280×800 (216ppi) of the Kindle Fire HD. On the processor front, the MyTablet may beat the Kindle Fire HD’s 1.5GHz dual-core option, with a 1.6GHz dual-core offering it still lags behind the Hudl’s 1.5GHz quad-core. Even the storage has been halved, with the MyTablet offering a paltry 8GB to the Kindle Fire HD and Hudl’s 16GB. Both the MyTablet and the Hudl come shipped with Android version 4.2.2, which is reasonably up-to-date, and also the base OS upon which Amazon has built its Fire OS 3.0. The MyTablet may have found some marketshare 12 months ago, but with the extra £20 bringing notably better specs in almost every department with the Tesco Hudl and the Amazon Kindle Fire HD, it is difficult to think of a reason to buy Argos’ offering. I’d certainly be very surprised if they manage to get anywhere close to matching Hudl’s 35,000 tablets sold in the first two days.